Fergie Jenkins cards and autographed memorabilia are among the cheapest when it comes to baseball Hall of Famers. But that's not to say they should be ignored. He's not the most decorated of Cooperstown's residents, but his credentials certainly make him deserving. 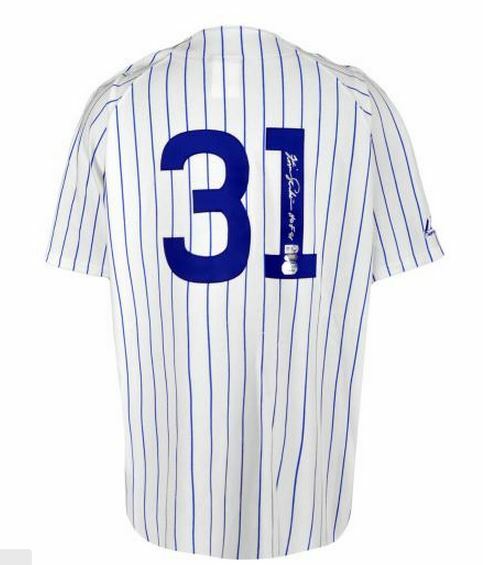 The majority of his 18 years in the majors were spent with the Chicago Cubs. Jenkins racked up 284 career wins, three All-Star game appearances and a Cy Young Award during his tenure in the majors. Collectors can find the Fergie Jenkins rookie card in 1966 Topps Baseball. 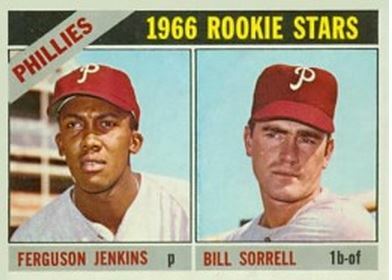 He shares the card with fellow rookie Bill Sorrell. In addition to the regular Topps release, Jenkins also has a card in the very rare 1966 Topps Venezuelan set. 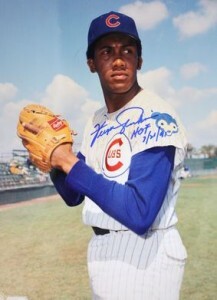 Fergie Jenkins' first autographed card is part of the 1991 Upper Deck Baseball Heroes set. Honoring his Hall of Fame induction, the card is found in High Series packs and is serial numbered to 3,000. His first memorabilia card is from 2001 Topps Archives Reserve. The card features a swatch of game-worn jersey material. Jenkins' autographed memorabilia is plentiful. He has always been a willing in-person signer. He is also a frequent guest at sports cards and collectibles shows. This card is one of the keys to the set. However, it is still very affordable. With Jenkins being one of the most dominating pitchers of his era and an eventual Hall of Famer, it's a great addition to any collection. Professionally graded copies getting high grade do sell for a premium. The most commonly seen condition issue is centering. 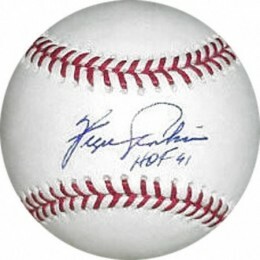 Fergie Jenkins Panini Cooperstown Signitures 599!! 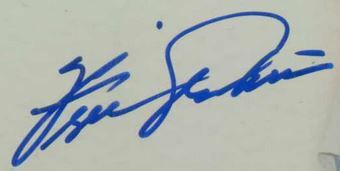 Below you will find an example of what Fergie Jenkins' authentic signature looks like. This can be used as a first point of reference for determining the legitimacy of autograph memorabilia, but is not a substitute for having your items authenticated by a well-respected professional autograph authentication company. Some of the trusted sources within the sports memorabilia market include the following companies: PSA, JSA, Steiner, Mounted Memories and Tristar. Click on any of the images below to view full size photos. It is not an easy autograph to discern on a letter-by-letter basis. The "F" and the "J" are larger than the other letters. The "F" is somewhat discernible. The "i"s are dotted haphazardly. The "J" has a small, narrow bottom loop. The top portion of the letter forms a large half circle across the top of the last name. (10) Fergie Jenkins HOF 91 Signed Autographed Baseball Photo JSA AH LOA AR COA!